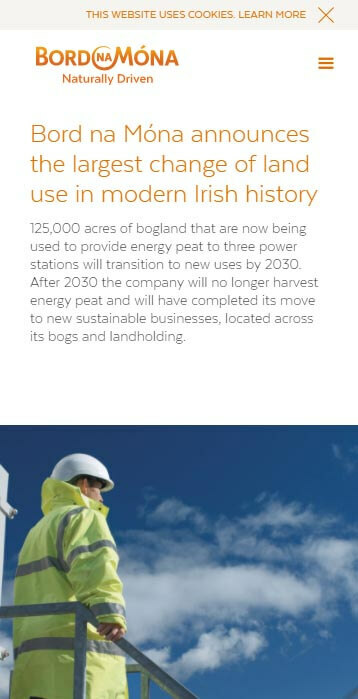 Bord na Móna's corporate website was part of an overall initiative to direct the company to a more sustainable future with a clear strategy and business targets aiming for 2030. 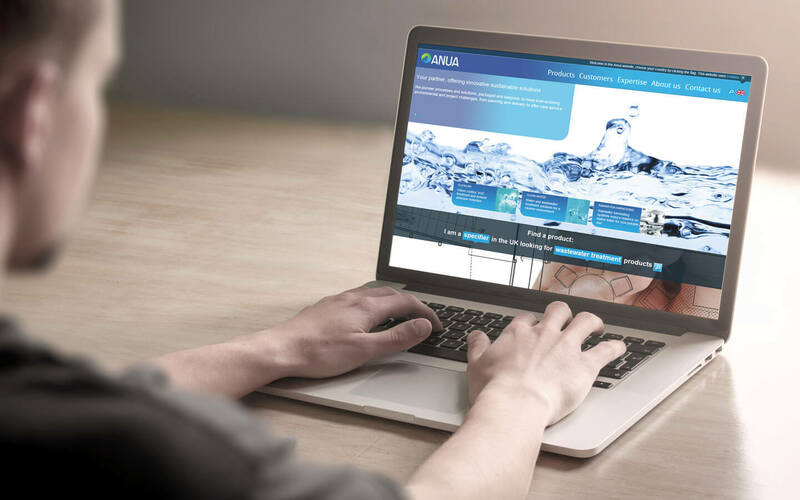 My work on the design and development of the corporate or 'brand' website was one of the focal points for the launch of the new brand and business strategy. It was also an opportunity to give a national organisation, steeped in tradition, a contemporary voice online. One of the many inspirations for this website was the engaging and personable style of small, mobile first websites. Our challenge was to bring some of that small site warmth and flexibility to a large corporate organisation with complex internal and external stakeholders and audiences. During the design stage we proposed a layout which allowed a story to be crafted using many different visual, text and social elements that could be organised in harmonious way. 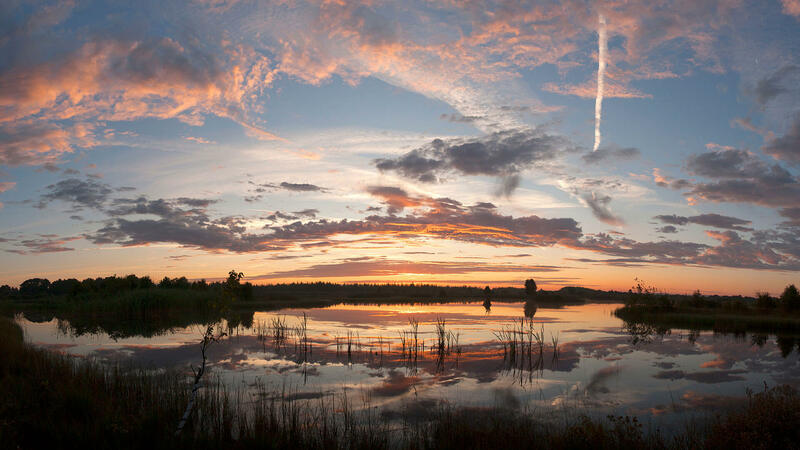 This was achieved with horizontal panels split in half and stacked on top of each other. 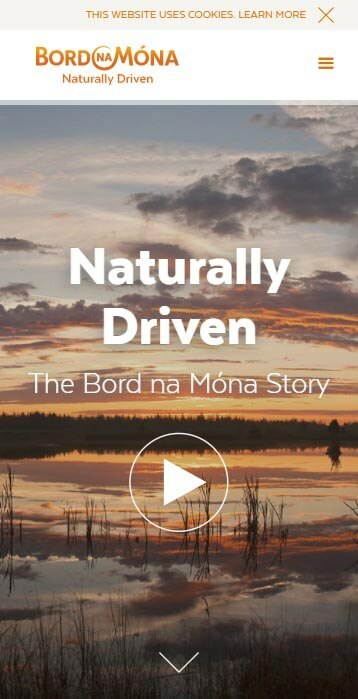 The content management system allows the Bord na Móna staff to select from 20 different types of story element and also to determine the left right orientation of the content in that panel. This level of control allows a flow of colourful and engaging content using a solid structure but also negative space to create a visually pleasing page design. 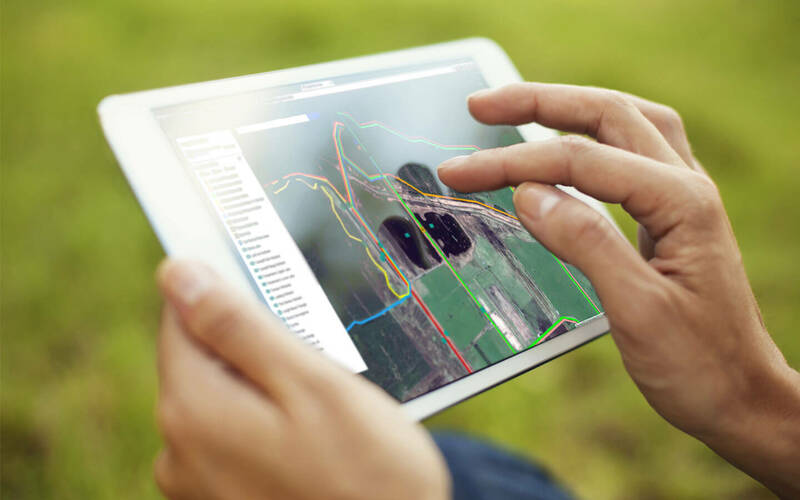 With easily scannable content on these feature pages the viewer can quickly get a top level understanding of each story without committing to reading through large sections of content. The content elements can be treated as stand alone component of a story limited to the page, or as a starting point taking the user on a thematic journey through the site content across many sections and pages. 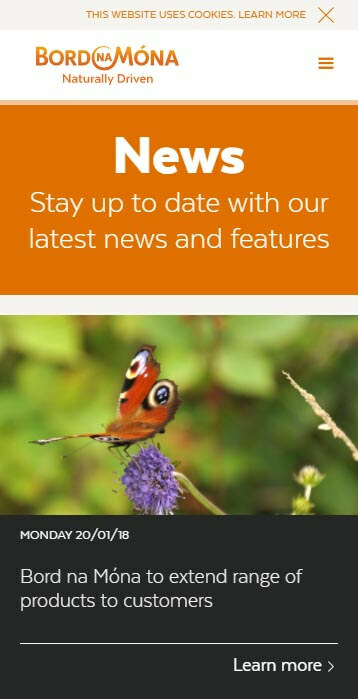 Managing news for a large company can be challenging not least as the format and types of news being generated is extremely varied. To deal with this we designed a content structure in the news that allowed for many types of articles in a single feed. 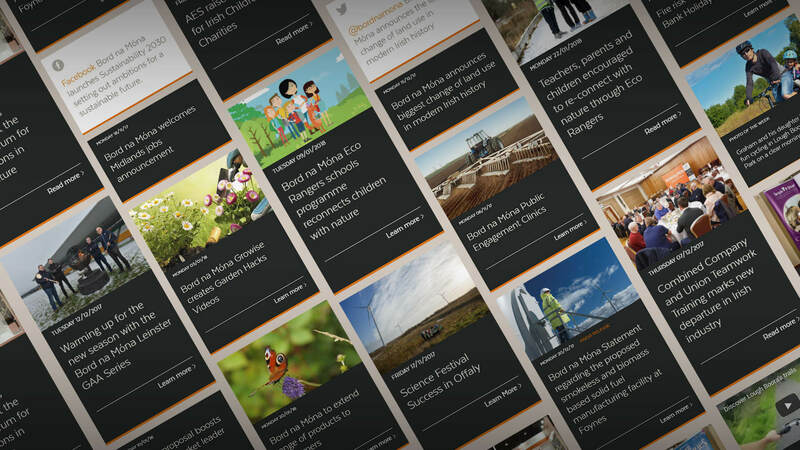 Articles could range from full news items to a single image and caption, a tweet or a facebook post. 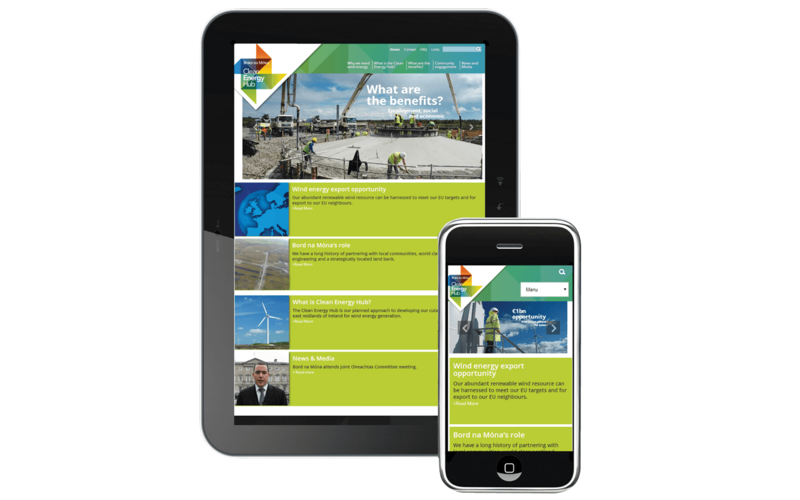 This flexibility allowed the content managers to keep the news fresh with a combination of light engagement with interesting visuals and more serious consideration of developments in the company's direction and strategy. 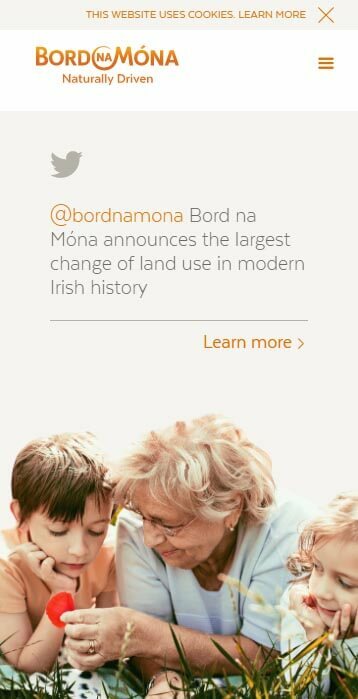 The brand website included many different types of content designed to engage the Bord na Móna audience. 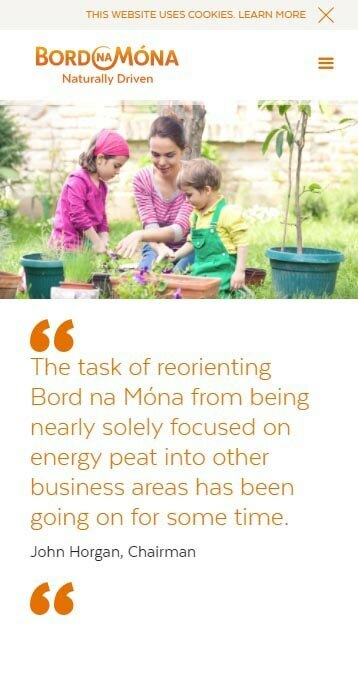 Naturally with an organisation that stretches back to the foundation of the state the history and heritage aspects of the Bord na Móna story are fascinating. 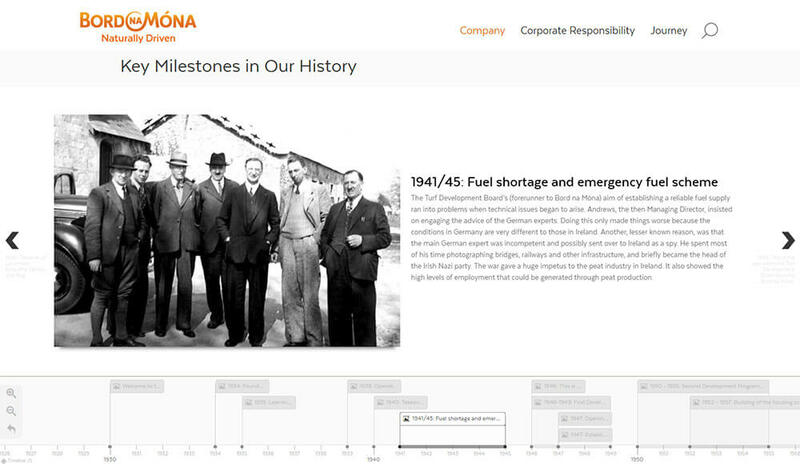 The website design and development includes an interactive timeline showing key dates and related imagery from the company's past. The launch content is static but plans are in place for future additions of video and animation media. 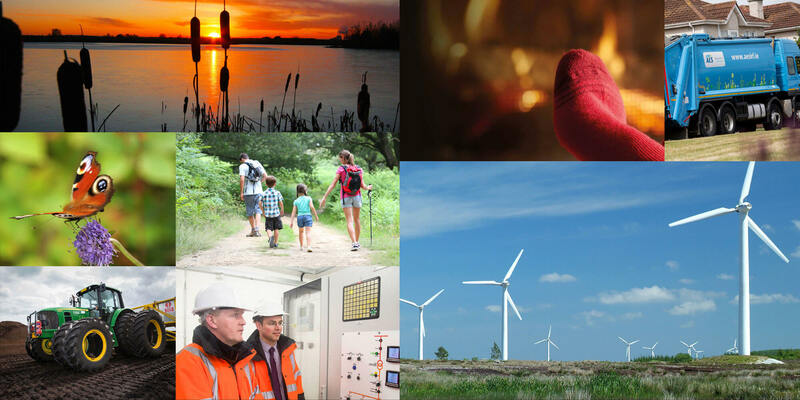 Complementing the story panel approach the team worked on a range of information graphics visually describing many aspects of the business activities from biodiversity and archaeology to power generation and careers applications. The infographics combined strong headlines with key points, icons and diagrams to quickly communicate the key concepts for each subject. These graphics were designed in a landscape and portrait fashion so that they would work effectively on all media including small mobile phone screens. 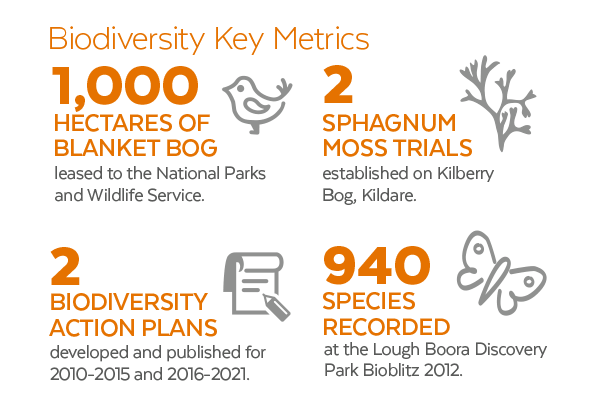 "I worked with John and the team at Roomthree Design while working for Bord na Móna on the redesign and development of the new Lough Boora Discovery Park website, the end result was nominated as a Finalist for Best Practice at the 2014 Web Awards. As part of a rebrand and launch of the new Lough Boora Visitor Centre with Fáilte Ireland, John quickly brought me up to speed and clearly articulated his design and UX solutions for the project. He was the main client contact and presented in a professional, passionate and considerate style, providing results to meet the needs of various stakeholder feedback and our content requirements. I recommend John's tailored approach to clients looking for creative and customised solutions from a friendly, skilled team." 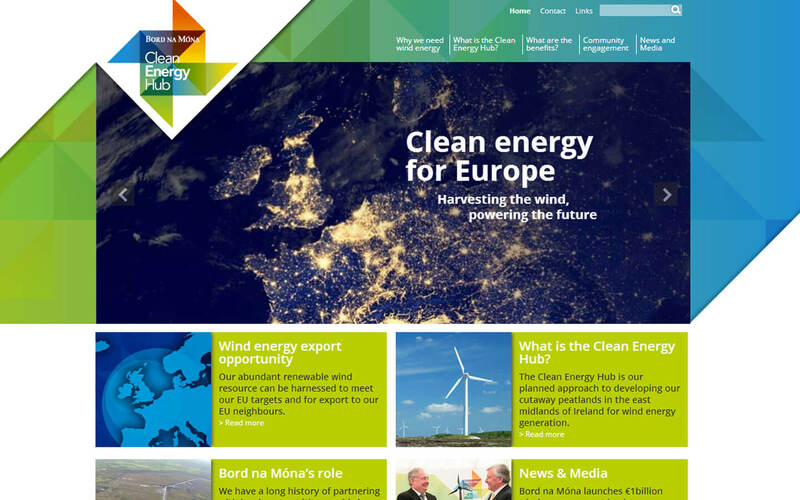 Focussing mainly on our work with the digital strategy and content development team we worked on several websites for the Bord na Móna business units and wider company initiatives.